When it comes to losing weight we need all the help we can get! Studies have shown that dieters who have a support network lose more weight and keep it off longer. Finding someone who can offer accountability and who understands what you are going through are important parts of setting yourself up for success. 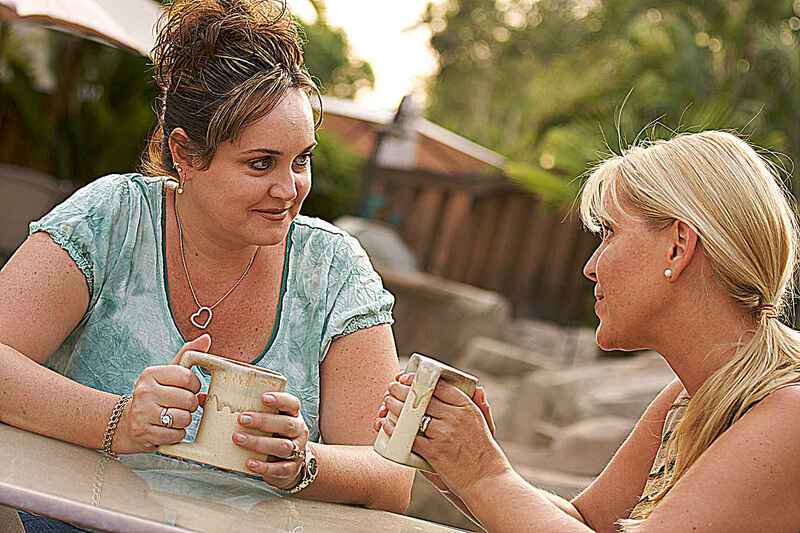 Here are some tips on creating a support network to help you succeed with your weight loss goals. Search out like-minded folks in the various aspects of your life. Chances are you interact with health conscious individuals every day, though you may not know it. Take work for example. It is likely that there are people you work with who are also trying to lose weight and get healthy. Many clients I have counseled in the past have found great support partners at work. Try starting a walking group at lunch or setting new standards in the breakroom by supplying a veggie tray instead of the usual bagels and desserts. With fall sports in full swing you may be finding yourself attending your kids' practice or games. Why not take advantage of these social events and search out other health minded parents. Which moms are walking while their son is practicing soccer? Which parent shows up to the volleyball games in workout attire? Having this common thread of kids plus athletics brings you one step closer to striking up that conversation about active living or weight loss. Several research studies have shown that becoming involved in an online social network increases weight loss results. MyNetDiary offers several avenues to support each other online. After creating a Community Profile you can join pre-existing groups, create a new group or invite friends to support you online. To invite friends simply go to the Community tab (in web program) and click on "Invite Friends." Here you will have the options of how to share your food records and weight change progress. To make the most of online support, first make a commitment to yourself to track your intake and exercise daily. After being true to yourself you can make a commitment with your diet buddy. It is best if you can communicate with your diet buddy on a daily basis, so that you are aware of each other's progress. Some clients have found that emailing each other daily creates a platform for strategizing and planning around especially high risk situations. The more honest you are about what is working well and what your challenges are with your diet buddy, the better they are able to support you. For additional information on accessing the MyNetDiary Community. At the end of the day, finding a way to support yourself through the ups and downs of weight loss is key for long term success. And yet many folks find they are harder on themselves than on friends who are also working to lose weight. Do you find you engage in negative self-talk? Try instead to find ways to talk to yourself as you would a friend. Kind words and forgiveness go a long way. This positivity will help you stay on track and maintain motivation especially during times when the scale is not reflecting your hard work. Overall, weight loss is a process that naturally comes with ups and downs. Finding support amongst co-workers, other parents and online may increase your chances of success and even raise the fun factor along the way. Do you have to get divorced to lose weight?